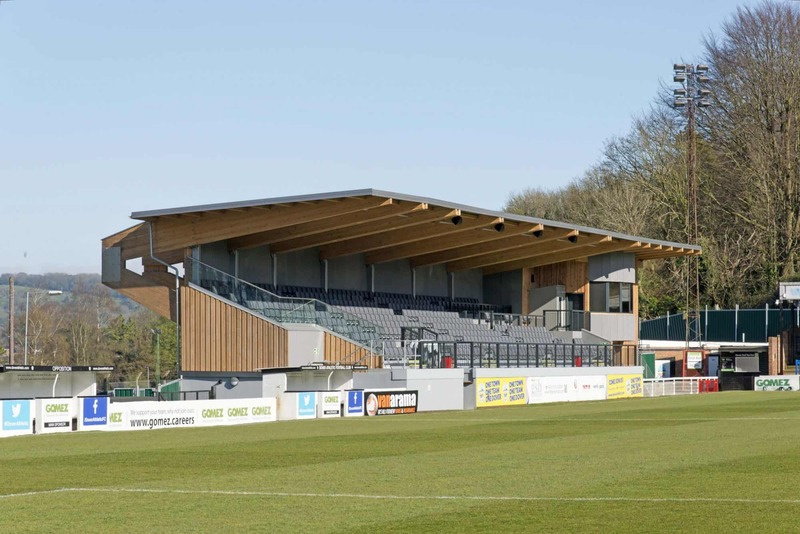 Following from the success at the CIAT Awards at the end of 2017, we are extremely excited to confirm that our scheme, ‘The Family Stand’, at Dover Athletic Football Club has been shortlisted for the RICS Awards in the ‘Design Through Innovation’ category. Partially funded by the Football Stadia Improvement Fund, The Family Stand was designed to allow greater inclusivity for families and disabled spectators, whilst also providing outstanding facilities for players, officials and staff. The innovative ‘kit-build’ cantilevered structure was specifically designed to enable a speedy construction on a tight footprint. Winners will be announced on 9th May at The Kassam Stadium, Oxford. Fingers crossed!